Casey's Space: Laksa, Laksa, Ho Chiak, Ho Chiak! Laksa, Laksa, Ho Chiak, Ho Chiak! 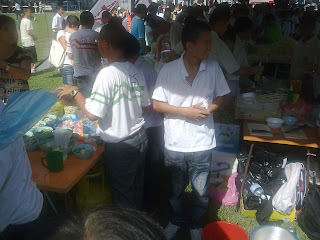 Just a day after the school sports day, the school alumni had the food fair. 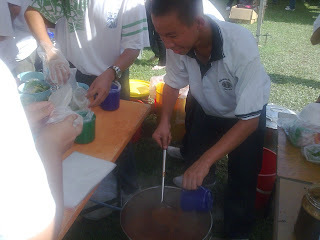 Our members set up a stall selling laksa and popia. 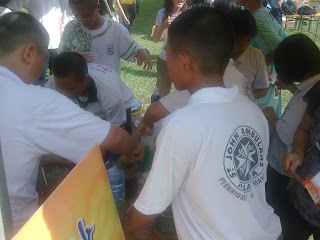 I could see that they were enjoying themselves despite putting in a lot of hard work. They learned a lot things too. I'm happy to see them being so independent, planning their work, sharing their responsibilties and happily slogging to raise funds for the school. 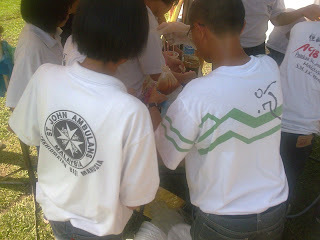 With a modest capital of rm500 from the alumni we managed to sell more than rm3000 worth of food. 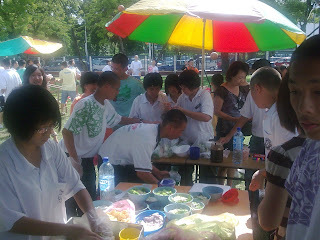 Too bad the TV people didn't send the Ho Chiak team to see us selling! 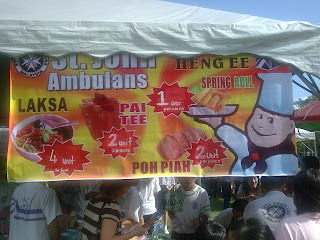 Our ticket sales were also very good-almost rm4000. 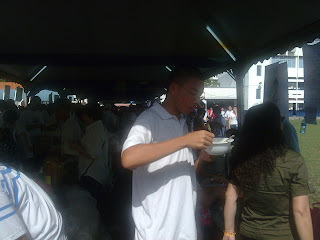 I took up rm100 worth of tickets but sold off most of it and had to go to the secretary stall to get more for myself.